Total Square Footage: 816 sq. ft. 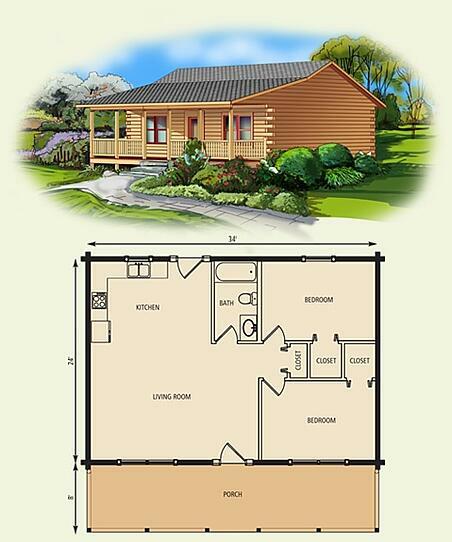 The Tamarack log home cabin is a perfect log cabin floor plan for a weekend getaway. This small one level log cabin designs offers a flat truss ceiling over the open living area, two main floor bedrooms, bath and a kitchen dining area for simple weekend meals. The covered front porch provides ample outdoor areas for reading, sleeping or watching the deer saunter through the woods. This floor plan is a perfect log cabin retreat!